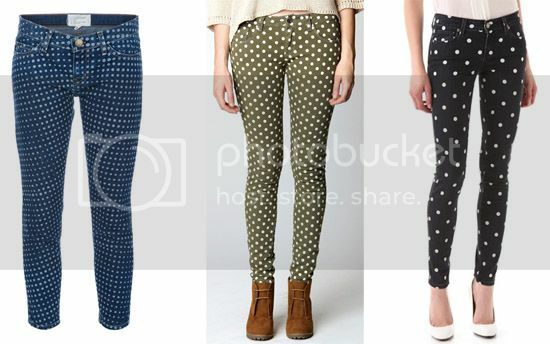 Which denim trend are you looking forward to wearing this fall season? 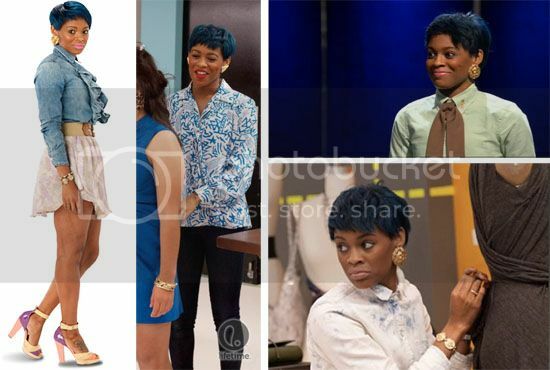 Can I just share with you all my latest obsession with Project Runway Season 10 Sonjia Williams' blue hair? Besides the fact that I am really missing my super short 'do, lately I've been craving to do something out-of-the-norm for me--I'm thinking dying my hair blue would fit right into that "something new" category. Now if only I could strike up the nerve to actually do it. See, I've never been one to experiment with outrageous colors. Well, there was this one time during my freshman year of college, (far away from my parents) when I dyed my hair a Raggedy Anne fire engine red--yup, years before Rihanna ever stepped on the scene--but I had major guts back then. I'd love to try Sonjia's shade of blue, it's the perfect shade to me--it's not too loud, nor is it cartoon-like or childish looking, and most of all there's a chic fun factor! Sigh. If only I can get to that that same place way back when, when I was a little more adventurous and fearless with my hair. Until then, I'll continue to obsess over Sonjia's hair. 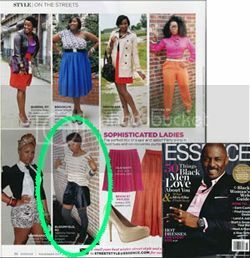 Sidebar: This chick is pretty fab as well, love her personal style. And she's talented! CURRENTLY | Still Loving Ash Sneakers! After obsessing and purchasing these Ash's Bea suede kicks last fall season, I'm still loving them. And while many have gotten in on the trend most popularized by the Isabel Marant Bekket high top wedge, I'd have to say that for me, Ash's wedged version is a great budget-friendly alternative to the French design without loosing the quality I look for in all my footwear. 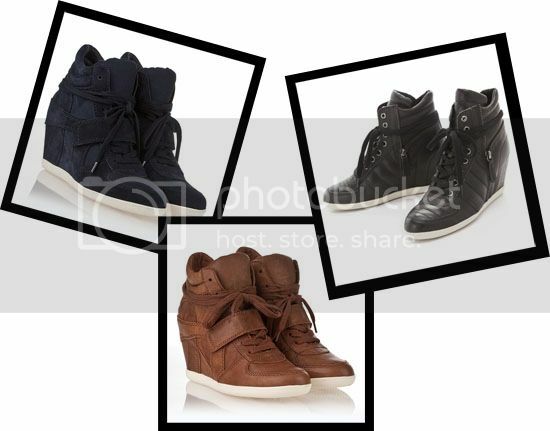 And seriously, there's no denying the high level of stylish comfort these wedge sneakers bring. Considering my love affair still runs deep, I'm thinking to rekindle that Ash flame for a second time around this fall--just with a more understated pair like the suede Bowie Bis Wedge in Midnight, the leather Bowie Ter Wedge in Dark Camel, or the leather Brooklyn Puffy Wedge in black. Hmmmm...decisions, decisions, decisions. Leather: For me, leather is that one texture that has a way of making you feel strong, edgy, sleek, polish and glam all at the same time. Besides being one of my favorite textiles of all time, leather makes it on my fall must-have list because of its versatility and ability to make any outfit look absolutely Fab Chick Approved! Grays: A great alternative to basic black, I love gray paired with many of this fall’s rich colors like violet, deep red, emerald green, and brown. 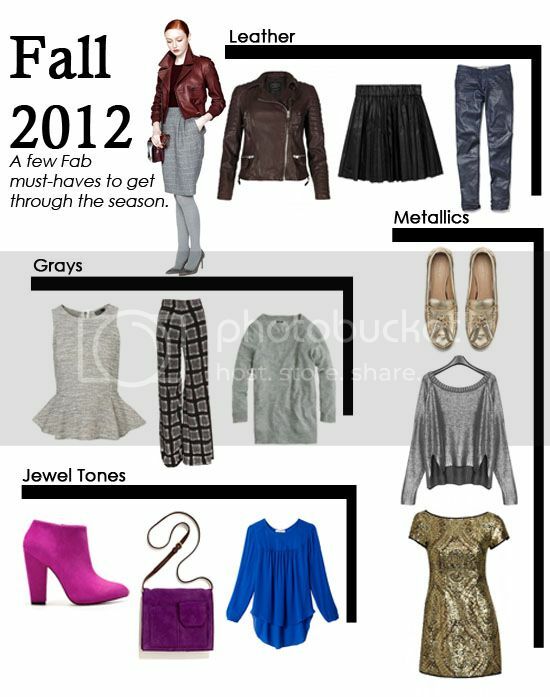 I’m all about being in the gray area this season—of color that is. Jewel Tones: Taking a break from the shock value of neon colors we all obsessed about this summer, still keeping it bold and fun, I’m looking to incorporate vibrant jewel tones to my fall wardrobe—less acid trip and more luxurious richness. Metallic: Even though I’m not a lover of science, for the last few seasons I’ve been having a lot of chemistry with all the precious metals of the periodic table—silver, copper, gold, you name it and I’m all about it for fall! 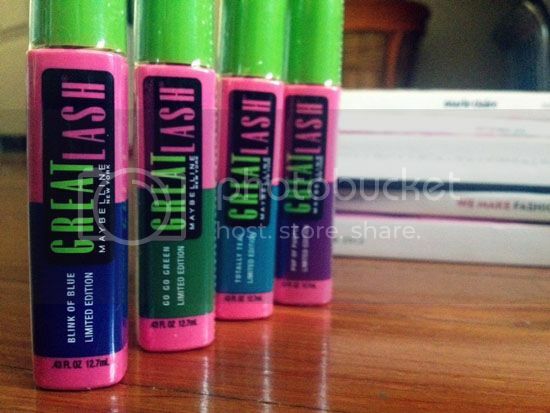 Guess who will be coloring their world with Maybelline's Great Lash Limited Edition colored mascara? Yup, me of course. Ever since I found out about the colorful limited release, I've been on a serious hunt, stalking every drug store and mass retailer I come to pass. With no luck, I've even put friends on the mission. But just when I was about to give up, there they were, right in front of my eyes in Target! Gosh I love Target! 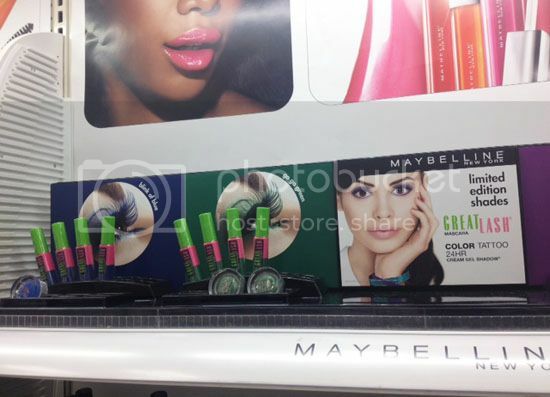 Considering this fall is trending pops of color on the eyes, (a la the models who graced the fall runways for Anna Sui) Maybelline's Great Lash range of colors offered: Blink of Blue, Totally Teal, Pop of Purple, and Go Go Green will be the perfect addition to my beauty arsenal this season--can't wait to wear them. And since they are only being offered for a limited time this month (can you believe August is over this week?) I suggest you make a mad dash to your local drug store and mass retailer now! Like right now! In the meantime head over to Madamenoire.com to check out my list of a few fall beauty must-haves here.